Getting the Love Island look does not come cheap, and I’m not just talking about the fortune spent on skimpy bikinis. There is also the pressure to to remould your features and body type to fit the instantly recognisable image of a villa sun-lounger dweller. 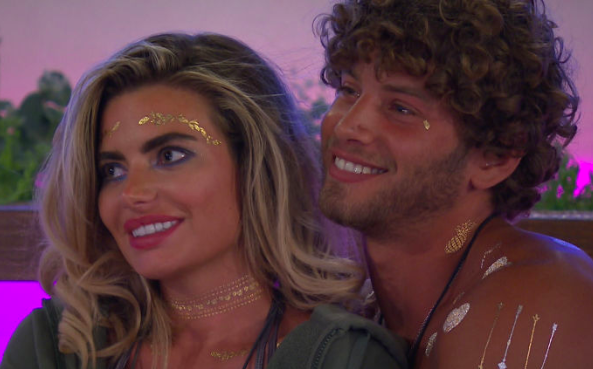 Pictures have emerged of the 24-year-old reality star where her face and figure look like they belong to another person entirely. Megan appears to have gone through quite a transformation since she worked as a pole dancer at Sunset in Southend, Essex. One picture from the Sunset Facebook page shows Megan dressed as Wonderwoman as she dresses up with pals. Others show close-ups of her face, which looks very different to the one which has torn apart ‘long-term’ villa couple Wes and Laura. Her hair is also notably longer than the shoulder-length bob she is currently styling on the island. Beauty expert Dr Tijion Esho has told the Mirror how glamorous Megan could well have splashed out £25,000 on altering her looks. Her cheeks and jawline also have more definition, leading the doctor to believe she has had volumising dermal fillers and a cannula approach. Well I was a legal PA travelling for like three years, making no money and travelling back and forth into London. Literally, I was like, I can’t do this anymore. So on the side I started dancing and then I realised I was earning the same money that I would earn in a month in like two days. Where it was in my area, everyone found out. The boys in my school turned up. The fact that it’s so fresh between us and there is no loyalties there. He’s just taken a massive leap of faith leaving Laura. If there’s a girl that he’s better suited with there’s nothing I can do. So, do you think Megan will find true love in the villa?